Through rain, sleet, ice and snow we battled through to Blackpool in the dark. The journey was the best part of 300 miles, half of it on the pitch black truck fest strip of the M6 motorway. Ooh what fun it is to slalom along in the spray and blurred windshield mess of mystery tarmac. Most of the time I had no idea where I was. Forget the sat naff. I needed radar.
. The clamour of glamour had been gagged and bundled into a dark cupboard. The glitz hid pinch-faced with collar up in shuttered doorways. The fun of the fair sulked moaning that life was effing unfair. It wasn’t Bleak House – it was bleak homeless. Yet it was wonderful. Blackpool lay like a beautiful forgotten film star, her allure un-painted, her face bared back to nature ready for her next come-back. 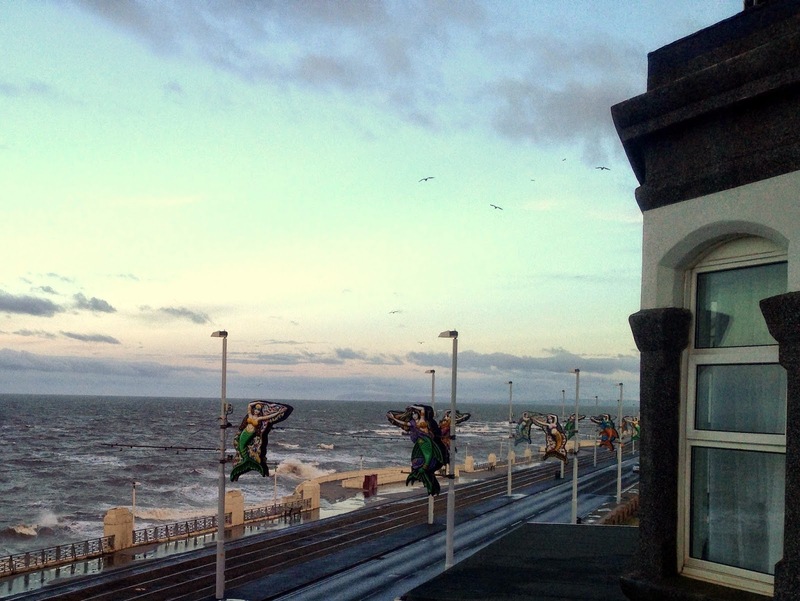 Blackpool – you are the electric daydream of the insomniac poet. You are the Kiss Me Quick Carnival of the Northern Post Industrial Venice. Top hotel – a real spread and breakfast. hotel. The wind whipped the car door from my grasp and the air from my lungs.The gale shrieked through the tram wires and the giant plastic lamp post mermaids: Oh silent sirens of the raging deep. We fought the Atlantic blast to the front revolving door and spun into the foyer like circus clowns fired from a cannon. All was calm. A lovely smiley lass issued drinks. We were safe at last. roaring wheels of hurtling trucks and the flip flop smear of windshield wipers. 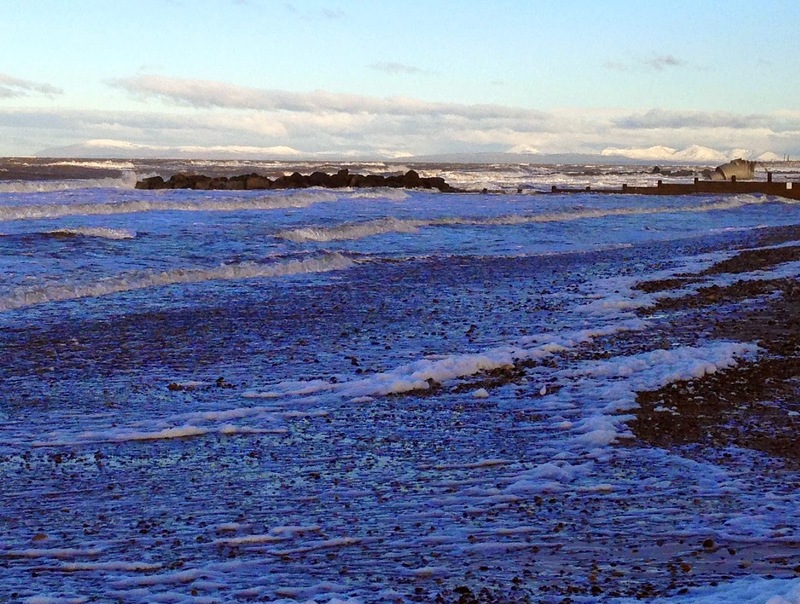 We awoke warm to gaze upon the merciless Atlantic ocean. Pity all those mariners and creatures of the wild. My thoughts were of this Island England and all that it could offer. 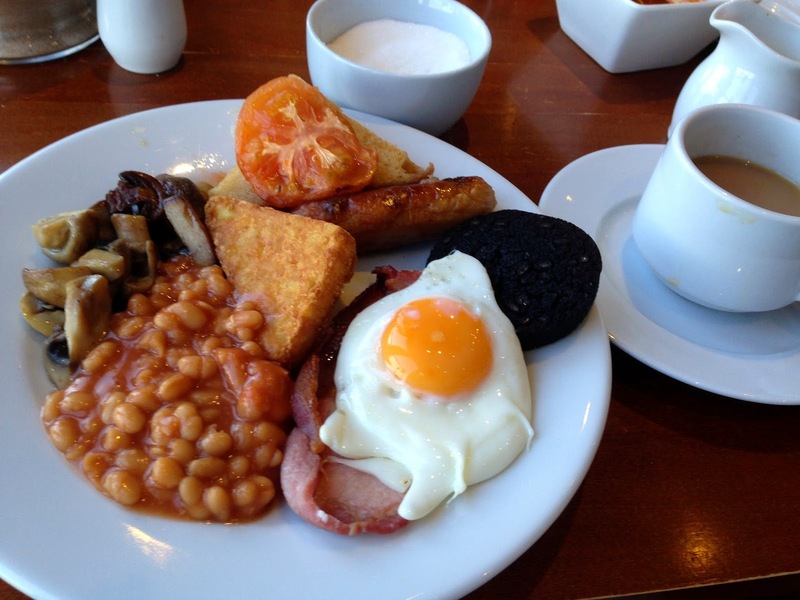 Yes – a full Monty fry up breakfast. Oooh you have to come up north to stuff yourself on black pudding to fortify your soul. As Britain remembers the 50th anniversary of Churchill’s funeral, this was the land of tradition he fought to save. We had the lot – the egg, the fried bread, the mushrooms, the beans, the hash browns, the sausage, the bacon, the black pud and washed it down with hot dark tea. Strand Hotel – you scoop the spare tyre award with honours and distinction. As we munched the ocean threw its fury at our Island race. We fought back on the beaches with our insoluble cholesterol and never surrendered. 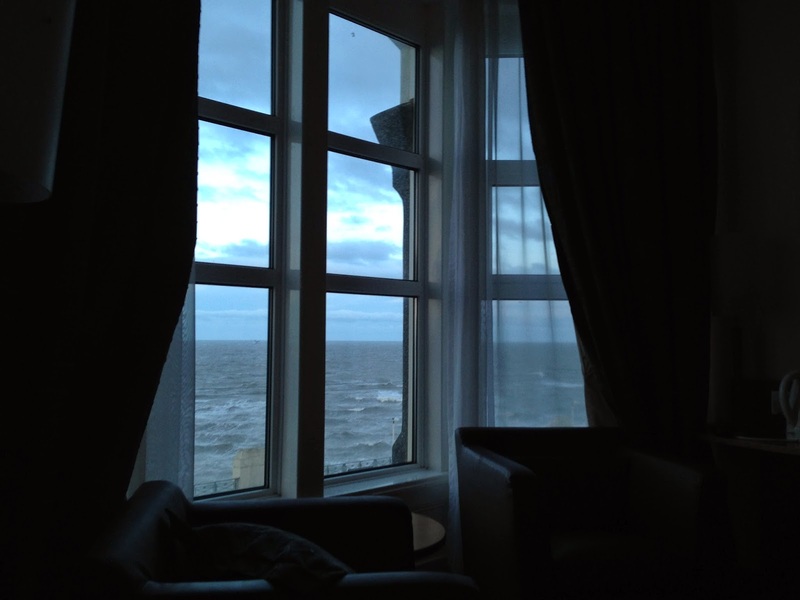 Blackpool surely offers the greatest choice of hotels in the Northern hemisphere. It is a competitive market and the value is extraordinary. You could stay for a week at the price of a London night. 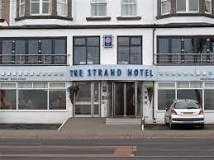 A big big thank you to all the staff at the excellent Strand hotel, Blackpool. Emma Thinx: Darkness is but the stage where light reveals our part. This entry was posted in Albericht, Blackpool, Emma's spare tyre tummy award, full english breakfast, Golden mile, M6, mermaids, Rhein maidens, Rheingold, sirens, The Strand hotel Blackpool, Winston Churchill by emmacalin. Bookmark the permalink. About thirty miles from me . I have fond memories of a young couple in a Morris Marina (pre-parenthood), parked on the seafront eating KFC while the waves crashed onto the bonnet. Very poetic. Thank you. I had a boyfriend with a Morris Marina coupe. It was red with a go faster stripe. I can't imagine it would have taken too much sea water treatment, it was half rust and half Isopon. Oh those happy days. Blackpool is a marvel of untamed tinsel. I love it. Thanks for stopping by.